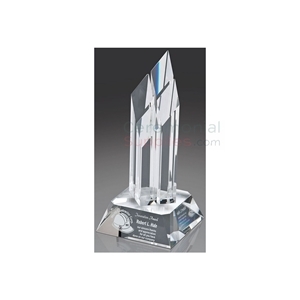 Searching for corporate award trophies to honor a commendable business person or group? 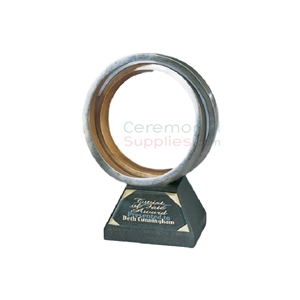 CeremonialSupplies.com is the best place to find the right trophy award for the right professional achievement. Every individual who has scaled the summit of excellence has incurred tremendous sacrifice and given his maximum effort to achieve what he has achieved. Every achievement is a celebration of this dedication and spirit, and deserves to be commemorated. 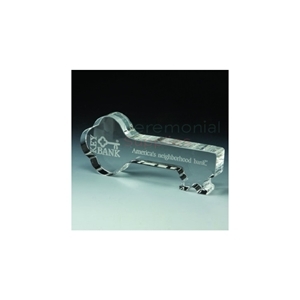 Being mindful of the same, CeremonialSupplies.com helps you honor these achievements with award trophies to present to them. Presenting award trophies to achievers has been a tradition since time immemorial. While alternatives such as plaques and medals have become available in recent times, award trophies continue to remain the most popular medium for rewarding exceptional performances. With award trophies, there is a sense of grandeur and stylistic flair attached that other mediums have yet to emulate, and perhaps it is for this reason that in most professional fields and corporate environments, award trophies continue to be the definitive reward. In most cases, award trophies follow a similar pattern of construction; there is a wooden or a polycarbonate base attached to an ornate trophy shaped in a form that is representative to the nature of the achievement. The trophy itself, depending on its design and the complexity of it, can be made of either metal, or plastic, and in some cases, even glass. The award trophies may either be fully made out of metal, or merely have a plating of it on top of another material. Award trophies made of metal usually adopt a gold, silver or bronze color scheme, with the colors being symbolization for the position achieved where such a system may be followed. The design of the trophy varies with the nature of the achievement, as in where a trophy being given for corporate or meritorious excellence may follow a minimalist design, a similar trophy being given for corporate leadership may adopt a more outré design. Even in the same achievement category, depending on how traditional the corporation is, the award trophies may differ aesthetically. 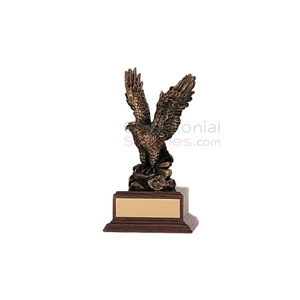 A leadership award, for instance may vary between a simplistic star shaped trophy or an intricately detailed eagle. At CeremonialSupplies.com, we firmly believe that the human potential is maximized when the efforts put into an endeavour are rewarded. 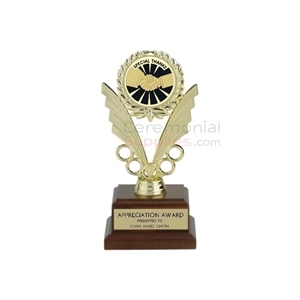 Whether it is an employee who outperformed at a corporation, independent sales representatives who continuously supersede their own goals, or any honorable person who are important to an organization, there is an award trophy waiting for them at CeremonialSupplies.com. We offer a wide variety of award trophies to the achievers of all sizes and designs for businesses and corporate award ceremonies. And since award trophies are prestige items made to celebrate exceptional accomplishments, they need to be built to communicate that message. 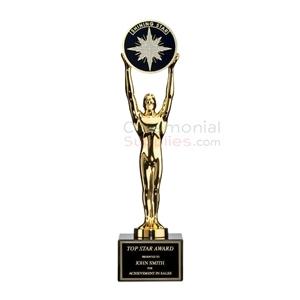 To that effect, we at CeremonialSupplies.com take it upon ourselves to ensure that every corporate award trophy we sell, across every budget, meets a stringent quality control standard. 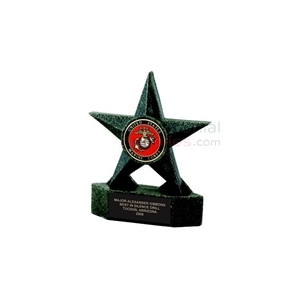 Our award trophies are made from the most solid of durable materials to match the heft of the achievement. With the proper finish, we ensure that the trophy being awarded continues to adorn your display cases for ages.